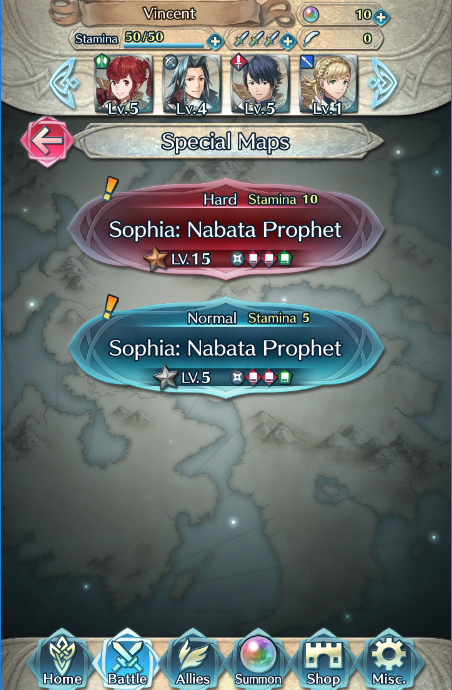 Hero Battles are timed event stages accessible via the Special Maps section of the world map (Battle Menu). You can participate in Hero Battles after clearing the Preface. 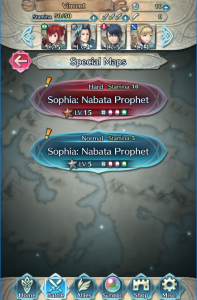 The most important aspect of Hero Battles is that if you successfully complete the Hero Battle, you are guaranteed to recruit the advertised Hero. However, during a Hero Battle if any of your Heroes falls in combat, it’s Game Over. If you fail, you can retry the Hero Battle as many times as you’d like (time limit and Stamina permitting). 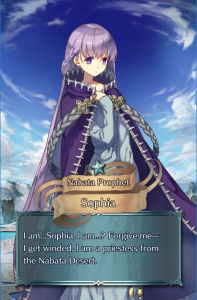 Hero Battles also come in multiple difficulties. The higher the difficulty, the stronger the opponents and the more stars possessed by the Hero that can be recruited. Note: You can only recruit each Hero once (per difficulty). Even if their stage has returned. After Stahl, the order loops back around to Sophia.